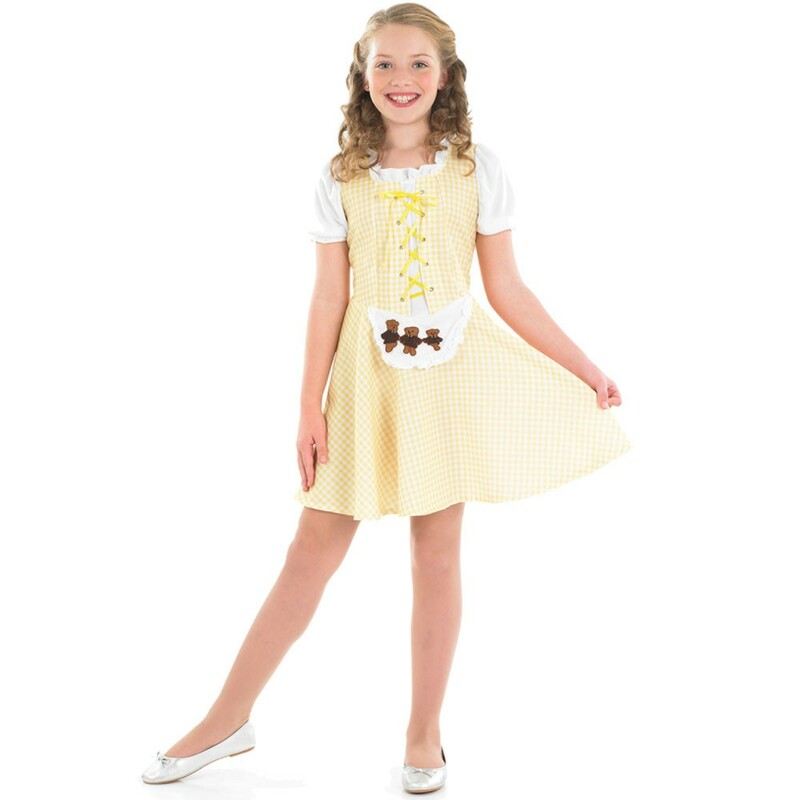 This Girls Goldilocks Costume includes a cute yellow check dress with attached apron featured the three bears design. Ideal for Book Week. This Girls Goldilocks Costume includes a classic dress inspired by the classic tale ‘Goldilocks and the Three Bears’ – a much loved tale and an ideal choice for Children’s Book Week Fancy Dress. The dress is in a pale yellow and white check with strung front, white sleeves and an attached apron. The classic look of this Girls Goldilocks Costume is perfected with a cute three bear emblem on the apron.